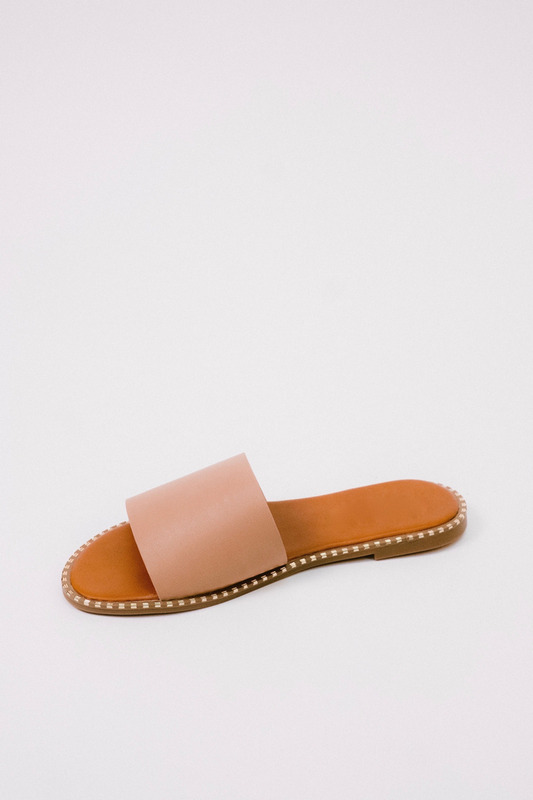 Taupe vegan leather slide sandal with tiny gold tone metal trim detailing. 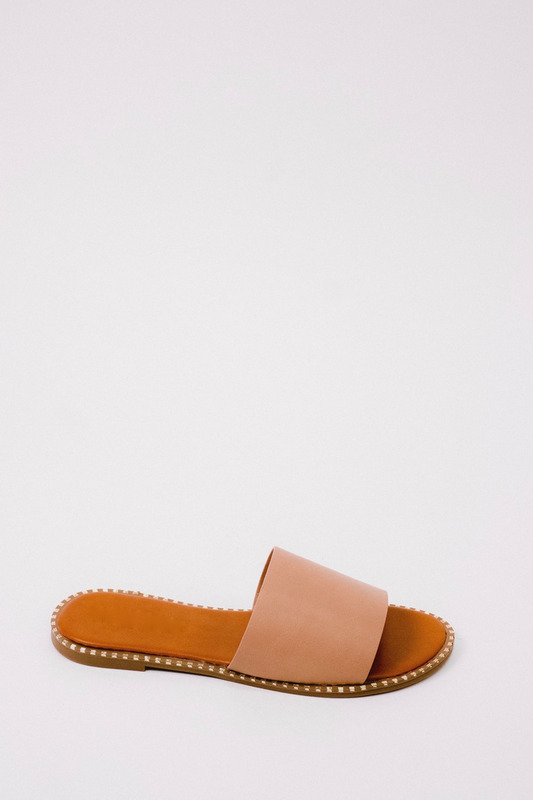 Open, braided slide style sandal. All man-made material. 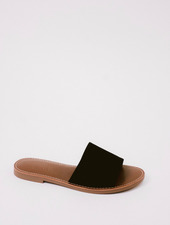 Black suede-like simple slide style flat sandal with contrast white perimeter stitching. Man-made materials.